Acoustiblok noise barrier material provided the level of privacy and sound proofing needed for police officials, crime victims and witnesses without fear of being overheard outside of the department’s interview and interrogation rooms. CERES, California, July 11, 2011 – With the installation of Acoustiblok noise abatement material in the ceilings and walls of two critical rooms within the Ceres Police Department’s downtown headquarters, witnesses and victims will be afforded the discretion and privacy they deserve during police interviews, and suspect interrogations will take place without external distractions or interruptions. 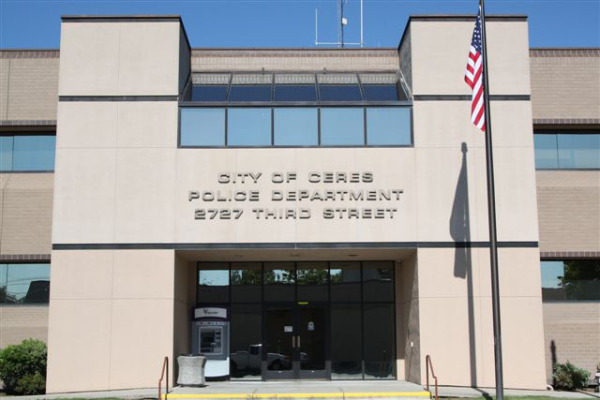 interrogation rooms in the Ceres Police Department came at the urging of Sgt. James Robbins, who said the acoustics in the “soft” room -- the room used specifically to interview victims and witnesses -- were hampered by noise coming from a restroom on one side of the room, and the department’s often noisy IT department on the other side. The larger 15-foot by 20-foot interrogation room was divided into three rooms, one to house sensitive recording equipment; the other two rooms were used to question suspects. After consulting Acoustiblok COO Marilyn Myers, decided to install the Acoustiblok in the smaller “soft” room first to test its capabilities. The room’s original drywall was removed and the product attached to the studs, per installation standards. Next, the Acoustiblok was installed in the room’s hanging ceiling and the seams were sealed with Acoustiblok tape to create a total sound barrier. interrogation/recording room to create the same noise barrier we had achieved in the “soft” room,” Robbins said. Since it was built in 1987, the building was not designed with any forethought regarding soundproofing or additional high tech retrofits, making the ceiling installation a challenge, according to Robbins. The Acoustiblok had to be cut to fit around pipes, HVAC ducts and other obstacles. Even with the extra care required for the ceiling installation, the soft room took only two days to complete. When it came time to retrofit the larger interrogation/recording room, however, officials decided at first not to attempt a ceiling installation and installed the Acoustiblok in the walls alone. They quickly realized that sound bleeding was still a problem between the rooms due to the ceiling void, and decided to install Acoustiblok in the ceiling after all. “The second room took about a week, because it was larger and the ceiling installation was challenging, but in the end we were very happy with the outcome,” Robbins said. “It’s always a wonderful feeling when our noise abatement products are used in such an important project,” said Lahnie Johnson, president and founder of Acoustiblok, Inc.
“I understand that there was some resistance from city officials to install noise barrier material when Sgt. Robbins first broached the subject, but his persistence paid off. 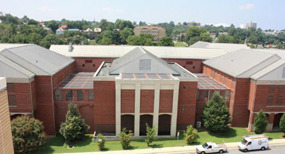 facilities, hospitals, schools, churches, attorney’s offices and any space that requires privacy and seclusion. Acoustiblok’s quality noise abatement products, available internationally since 1998, have earned the industry’s highest ratings from architects, builders and consumers. Acoustiblok is a proprietary viscoelastic polymer material with a high density mineral content, heavy and yet extremely flexible. As sound waves cause the Acoustiblok material to flex, internal friction occurs and the acoustical energy is transformed into inaudible friction energy. Just one, 1/8- inch layer of Acoustiblok in a standard wall will result in more sound reduction than 12-inches of poured concrete. Environmentally friendly, Acoustiblok contains no lead, asbestos, or barium, is UV resistant and impervious to water and mold. Acoustiblok is UL classified, recognized, and sold in more than 50 countries. Acoustiblok received first place product awards from the British House of Commons, and was named Builder News Magazine’s Product of the Year. The company was named in NASA’s annual list of top 49 Spin-Off companies for its use of aerogel technology in its Thermablok insulating strips. 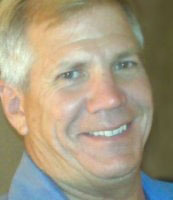 Paul Getts Named Sales Associate for Acoustiblok, Inc.
TAMPA, Fla. (USA), May 3, 2011 – Lahnie Johnson, president and founder of Acoustiblok, Inc., has named Paul Getts as the company’s newest sales associate. Getts, a native of Fort Wayne, Indiana has lived in Florida for more than 30 years, and in Tampa for the past three years. Prior to joining the Acoustiblok sales team, Getts was a statewide outside sales rep for Tampa-based All Solar Power, and a factory rep for both Seabridge Bathing and Aquassure Bathing, which provide bathing products for the disabled. Getts studied Art and Design at the Ringling College of Art and Design, and Delgado Community College in New Orleans. Acoustiblok’s quality noise abatement products, available internationally since 1998, have earned the industry’s highest ratings from architects, builders and consumers. Acoustiblok is a proprietary viscoelastic polymer material with a high density mineral content, heavy and yet extremely flexible. As sound waves cause the Acoustiblok material to flex, internal friction occurs and the acoustical energy is dissipated into undetectable trace amounts of heat. Just one, 1/8- inch layer of Acoustiblok in a standard wall will result in more sound reduction than 12-inches of poured concrete. 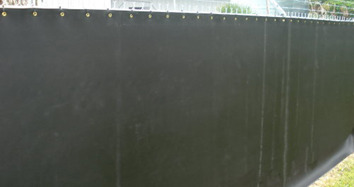 Environmentally friendly, Acoustiblok contains no lead or asbestos, is UV resistant and impervious to water and mold. Acoustiblok is UL rated and classified for virtually all wall, floor and ceiling installations. Acoustiblok was named Builder News Magazine’s 2009 Product of the Year. For more information about Acoustiblok® products, call (813) 980-1400 or e-mail sales@acoustiblok.com. 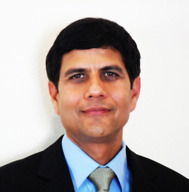 Vinod Sharma named Director of Engineering for Acoustiblok, Inc.
TAMPA, FLA. (USA), March 31, 2011 – Lahnie Johnson, president and founder of Acoustiblok, Inc., has named Vinod Sharma Director of Engineering. Sharma’s duties will include involvement in engineering, design, product development, research and manufacturing for the company’s line of sound abatement products under the Acoustiblok® label, and the company’s Thermablok® aerogel thermal insulation products. As Director of Engineering for Acoustiblok, Sharma will participate in determining the business’s strategy and vision, and for engineering consultancy and global business operations. Just one, 1/8- inch layer of Acoustiblok in a standard wall will result in more sound reduction than 12-inches of poured concrete. Environmentally friendly, Acoustiblok contains no lead or asbestos, is UV resistant and impervious to water and mold; it is UL rated and classified for virtually all wall, floor and ceiling installations. Available internationally, Acoustiblok was awarded first place in England’s Sound Abatement Competition, presented at the British House of Commons.